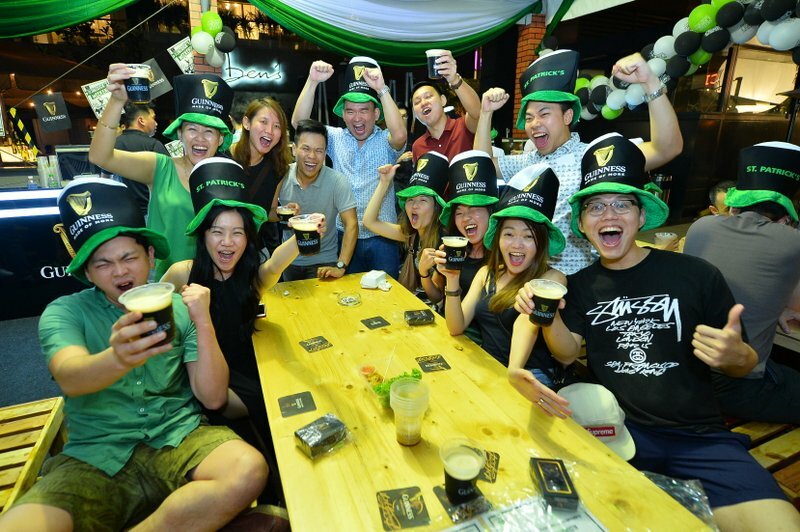 Guinness fans from across Klang Valley came together to ‘paint the town green’ this past weekend, as revellers converged at Publika Mall to take part in the biggest St. Patrick’s celebrations Malaysia has ever seen. Held over three days, from 17-19th March, the Guinness St. Patrick’s Weekend saw thousands of people gather to celebrate their honorary Irishness with a little help from the most Irish of beers – Guinness. 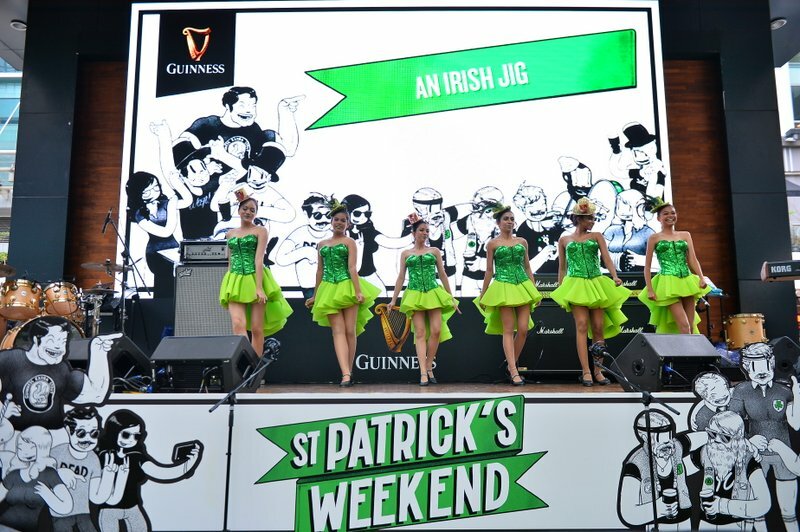 Featuring three days of live performances, exciting games and activities, delicious authentic Irish food, and a host of other experiences, the St. Patrick’s Weekend celebrations provided plenty of entertainment and fun for all. The first 100 lucky drinkers enjoyed a FREE Guinness each day throughout the weekend. 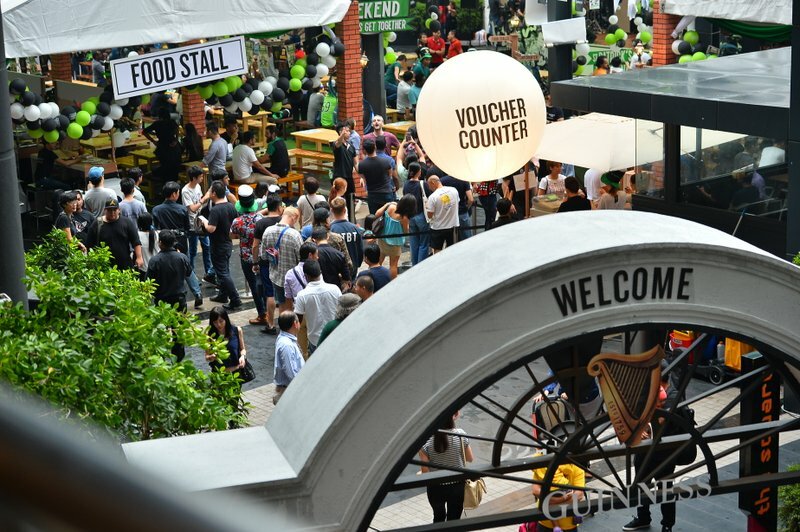 Taking over The Square in Publika Mall for the entire weekend, the centre stage was filled with great local acts such as Fazz, KissKillMary, and Beauty & the Beast, playing a mixture of their own original music and covers of famous Irish songs to get the crowd going. Drinkers also had the chance to come home with exclusive Guinness and St. Patrick’s Day memorabilia, by taking part in the many games and challenges on offer. A highlight to the event was the national qualifier for the World Oyster Shucking championship, held every year in Galway, Ireland. 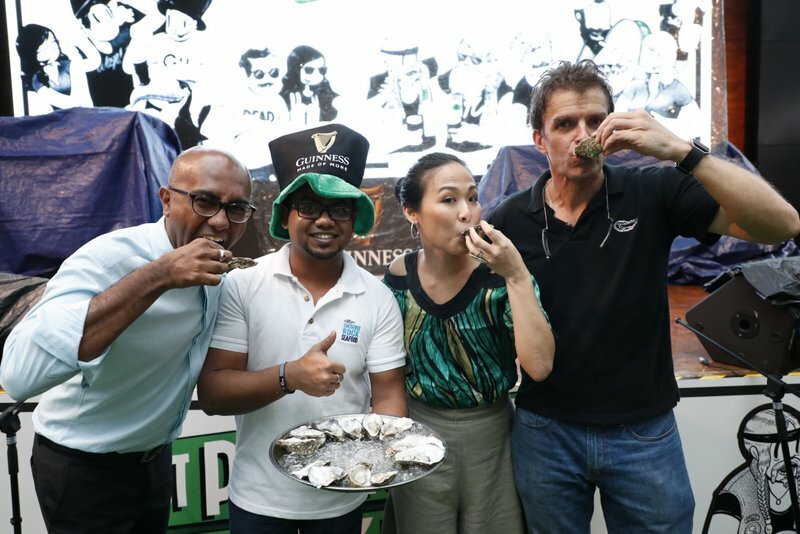 Held in conjunction with Southern Rock Seafood, the participants were challenged to open (or ‘shuck’) as many oysters as possible within a certain time frame. The fastest shucker will get the chance to represent Malaysia at the world championships later this year. Oysters, which have a long association with Guinness, and paired together are a traditional Irish treat, were also available at a special price throughout the weekend. On Sunday, one lucky Grab customer was awarded with an all-expenses-paid trip for two to Dublin, Ireland, courtesy of Guinness. A promotion, which ran from 20th February, saw Grab users rack up points for booking rides after using ‘IRELAND’ as a special promo code. The winner was the person who had taken the most trips and will now be jetting off to Ireland. 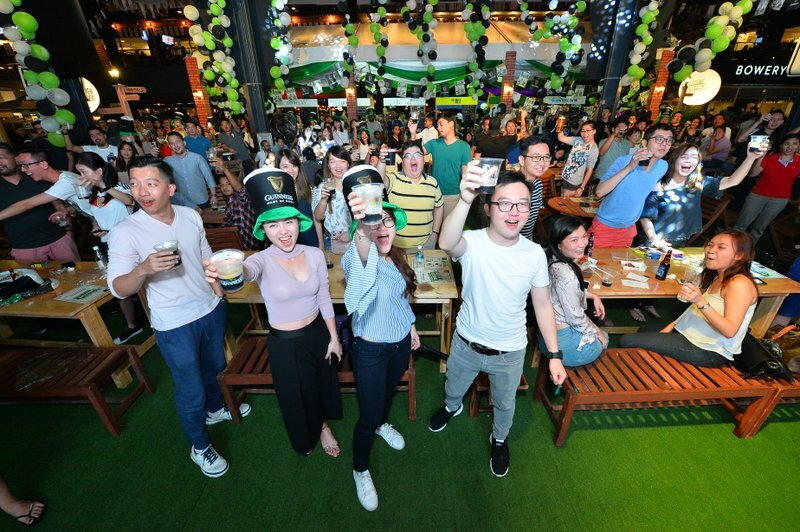 The main event at Publika was held simultaneously with satellite events all across the country on St. Patrick’s Day itself – Friday 17th March – in Ipoh, Penang, Johor Bahru, Miri, Kuching, and Kota Kinabalu, spreading the cheer nationwide. This coincided with events held in Dublin, New York, Sydney, and many other cities across the world, bringing hundreds of thousands of people together to lift a glass of GUINNESS in the air and embrace their honorary Irishness. Born in Dublin in 1759, GUINNESS is as Irish as it gets. This St. Patrick’s Day, more than 13 million pints of the black stuff will be consumed in 150 countries across the world – proving that on St. Patrick’s Day, everyone is Irish. So get out your green clothing, practise your best Irish accent, and get together with friends and GUINNESS this St. Patrick’s Weekend. Sláinte! 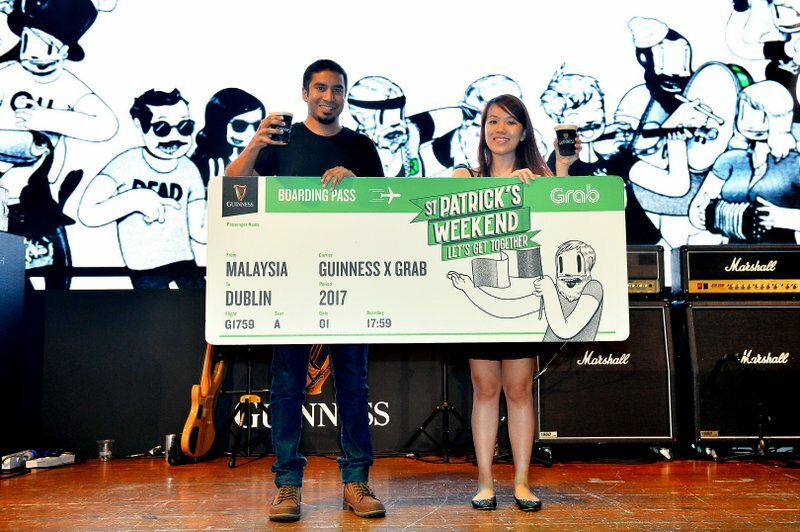 For more information on the GUINNESS St. Patrick’s Weekend, the Grab contest, and to find out where the roving teams will be this month, visit www.facebook.com/guinnessmalaysia. This entry was posted in News and tagged guinness, ireland, irish beer, st patrick's day by TheGoodGoodGuy. Bookmark the permalink.